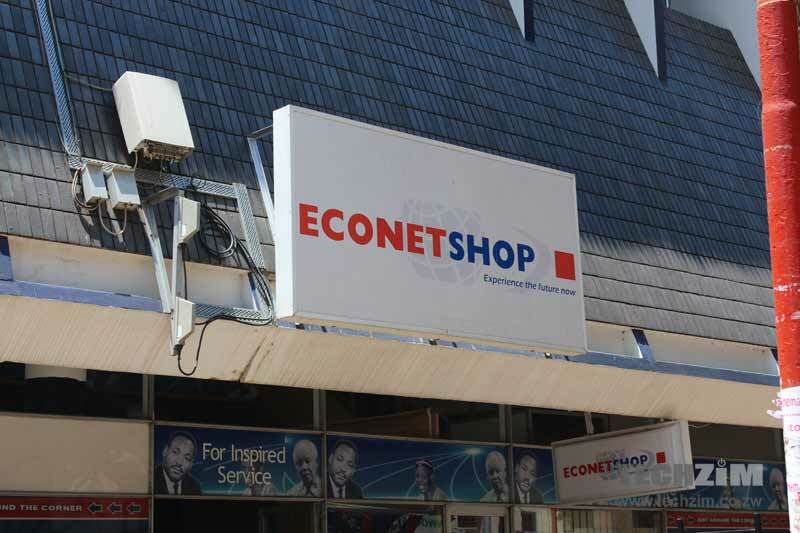 Econet Wireless, the Zimbabwean mobile operator that kicked up a storm with the introduction of higher broadband tariffs has announced that it will be reversing the tariffs. This comes after the Minister of ICT, Supa Mandiwanzira suspended the tariff increase, which was declared by the telecoms regulator, POTRAZ, and had been set data at a minimum of 2 cents per megabyte (MB). In its announcement, Econet complained of an unfair playing field, highlighting how it had been the only operator to implement a tariff increase while the other operators had not complied. POTRAZ, whose mandate and motto is to create a level playing field appears to have been the target of the statement. Considering the constant friction between the two this isn’t surprising. There’s no need to look far either- just look at the recent statement issued by POTRAZ calling out Econet for its hypocrisy. We remain committed to providing our customers with unparalleled quality service. Thank you for your understanding. Its true,Econet are now being made the scapegoats yet it was Potraz which gave the order. Remember that time when Econet were stopped from running a promotion by Potraz who said their data charges were too low. Ngavasatinyaudza veEconet mhani! You grabbed the chance with both hands to screw over your customers and now you cry crocodile tears about a level playing field. What does the playing field have to do with the fact that you went above and beyond the 2c/MB floor price, charging up to 10c/MB?? What does level playing field have to do with you blocking whatsapp calls on your network all together?? We can clearly see that you are attempting to force people back into using traditional voice & sms instead of innovating. Willing to literally reverse development. Disgusting! voetsek stupid. the floor price was 2c INI you charged 10c and 15c out of bundle makadzungaira either from idiocy or chiramwa own yo decisions nabharanzi. Crocodile tears..Floor price yakanzi 2cents /mb imi mukaisa pa 10cents/Mb then yu gave us zvima WIFI MB zvenyu yet m always home ku Mabvuku hakuna Wifi.. Please do not put the blame on the level of the playing field, if yu had yo customers at heart yu cld have either appealed to the regulator like wat NetOne does or set yo data at the floor price..Yu have been stealing our money for a very long time takanyarara our money ichingo disappear and POTRAZ did nothing om you. I think nw its the time to move over frm this EcoMadness. I have already aquired a new line from NetOne my last six digits were matched for only $0.50cents yet if m to get similar service frm you its not less than $5 mbavha dze vanhu hamunyare..I M on Onefusion 10 with 130 mins on Net, 40 mins of Net, 800MB data and unlimited Social Media with i have saved a lot in tought economy like this. Please Potraz can yu do something ne Mari dzema Customers dzinongopera zvisinganzwisisike i even think that Econet have charging more than $0.02/mb all along bt vasinga budi pachena fooling pple nekuti Smart Data Network mbavha dzevanhu. Please disconnect my number(0775987956) as i have moved over to NetOne currently waiting for a better mobile money system. Pakaipa!! Back to super download speeds!!! They should just remove bundles, fusions, etc, etc. Data should just be data. How, when and what you use it for should be up to the subscriber. This way, it then becomes very easy to understand for us subscribers. Comparison can then be based on real content usage. Ini ndinawo ose maline. Slower for my liking but a bit cheaper on NetOne kana ndisina $$ ndomboenda pa Fusion ndorova WhatsApp. For games and video and work emails with attachments pfee pa Econet ndorova zvangu neLTE yavo. Telecel here and there kwainofaya. The $6 Million Hon Supa is talking about can be put to very good use by building local CDNs. We can then access content faster and cheaper once it is downloaded and on our own CDNs. MNO requirements towards the internet can be reduced. – The costing model used for ISPs and MNOs. – Labour costs – esp Engineers? I don’t know about the other keys costs guys you can add on the list. We can then have a very strong argument for #datamustfall. Zambia is also landlocked. TelCel, Netone and Potraz are one entity in real terms and their variation arises only in terms of responsibilities. Also bear in mind ECONET’s creation was a really a battle, which involved the fallen, who understood its business acumen and sympathized with it accordingly. The model of business for most of the telecoms companies is really not sustainable.Most of the Zim telecoms are struggling and some dnt seem to understand were the future is headed.A few years down the line data is going to be really cheap worlwide and for some of the MNO’s that depend maily on data revenues its going to be difficult to catch up. Econet erred in pushing the prices up way beyond the floor price but in the end i will personally still stick with them as i have so much belief in their brand and what they are building. Tariffs charged by Operators are regulated in terms of section 100 of the Postal and Telecommunications Act, Chapter 12:05. As such, any increase or decrease in tariffs has to be approved by the Authority in order to safeguard consumers as well as promote fair competition. This applies even where an Operator wishes to offer promotions to its customers. The Authority approves both the promotional tariffs and any other accompanying terms and conditions. With respect to the Econet promotion, the Authority has simply directed Econet to fully comply with the above referenced legal requirements. The Authority approved Econet’s Dynamic Tariffing Pricing Plan and its terms and conditions in July 2012. What the Authority approved is different from what Econet is offering as its Buddie Zone Red Alert Promotion. There is therefore nothing unfair about this as the legal requirements apply equally to all Operators.